We’re talking about the specific, external goal that is the focus of the story. The pursuit of this story goal is what moves the plot. And even though I know you know your screenplay needs a story goal… I also know it’s easy to go down rabbit holes in the development process. Because getting wrapped up in the creation process means turning off your analytical brain for a while. Which is great, but can also cause you to lose sight of some of those basic story structure principles. Before you know it you’re slapping band-aids on individual problems. When – if you stepped back and looked at the big picture – you might see those little problems lead back to cracks in the foundation. And if you shored up the foundation, your screenplay would be better and stronger all over. Plus many of the little problems would disappear in the process. It’s a question I often find myself asking writers I work with, no matter how experienced they are or how many screenplays they’ve written. Because the pursuit of the story goal forms the structural spine of your story. Everything hangs off of that spine. So if things are askew in a story, we have to start by checking the foundation. 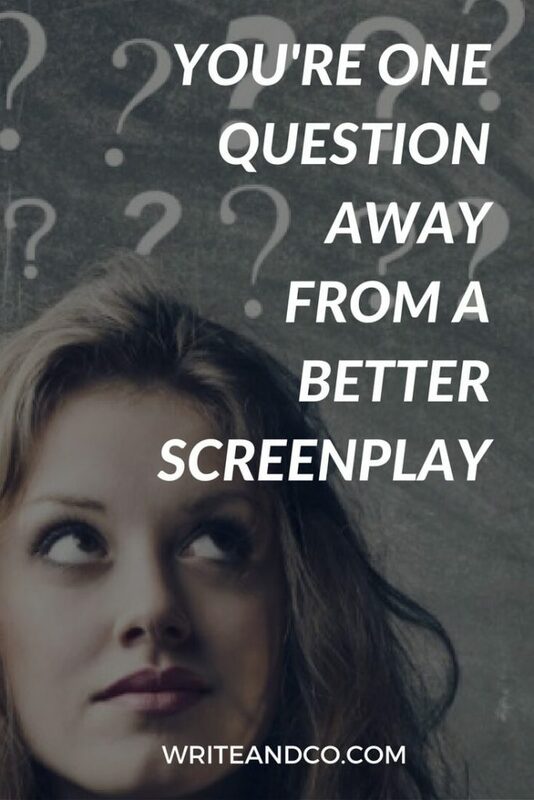 Getting really really clear and specific on the answer to that question can make planning everything else in the screenplay easier as well. Yet the process of identifying the story goal can be more complicated than you expect. Especially when you’re in the middle of the development process and your head’s swirling with all the elements, details, and possibilities. One angle to explore is the difference between the goal and the method. Every story is different, and sometimes the goal itself implies the action we’ll be watching in Act 2. Other times, the method for achieving the goal is separate and distinct, though integral to the concept. For example, in Hell or High Water the story goal is “to save the family ranch” but the method that the characters are going to use to pursue it is separate: “by robbing $40k from Texas Midlands bank”. It’s useful to look at the relationship between these two elements. Both to clarify how your story works, and to make sure there’s enough potential action to support the 50-60 pages at the center of the script. A goal – but not just any goal. Here are a few things to consider when designing an effective story goal. Degree of difficulty. A screenplay needs a goal that will take most of the movie to achieve. That means it should be difficult, either due to the nature of the goal itself, or because the opposition to the goal is so strong. It’s a process. Related to degree of difficulty, but worth double-checking: be careful of story goals described as transitory actions. Meaning, if a character’s goal is something that can be completed in one moment or one scene – such as to decide, or choose, or realize — you might not have enough story action to sustain a screenplay. A visual indicator of success. Movie goals work best if there’s a visual barometer for them – a defining image that captures victory. Michael Hauge says that almost all movie goals fall into one of four categories: To Win, To Stop, To Escape, or To Retrieve. I’d add one more: To Deliver. If you’re having trouble defining your protagonist’s goal, try starting with one of those 5 general categories. Then you might brainstorm more specific versions of the general to help narrow in on the most effective goal for your story. Specific: Get back together with ex-boyfriend Warner. General: To stop (a serial killer). General: To escape (the past). Specific: Return to his own time (the future). Specific: Pull off a heist of a Las Vegas casino. General: To deliver (a coveted object). Specific: Return the ring to Mount Doom where it can be destroyed. 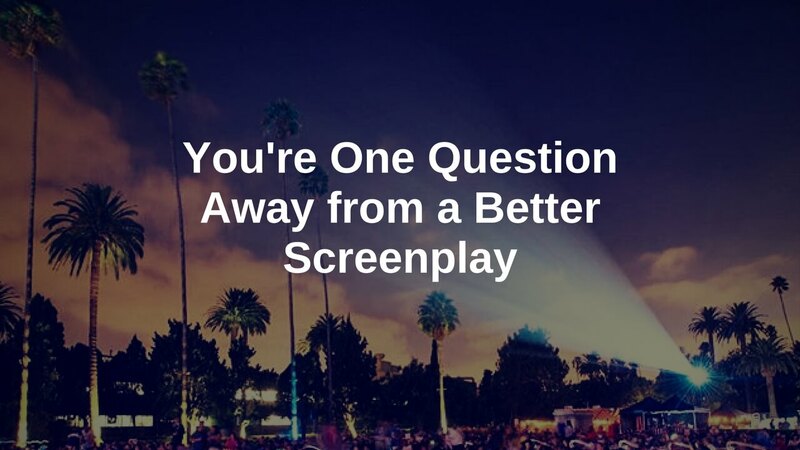 The answer to that question is the keystone of your screenplay. It’s truly one of the most vital things to keep in mind at every step of the development, writing, and rewriting process. Ask it often, answer it well.